Perfect location, in middle of all the madness! Specially if u have just 2-3 days, u won't miss much from this location. And the staff was great! Very friendly and very helpful. The girl at the reception (I think name was Garnicia or something like that) she was brilliant! She made our experience great. location was 10/10. close to restaurants and a local mini market. 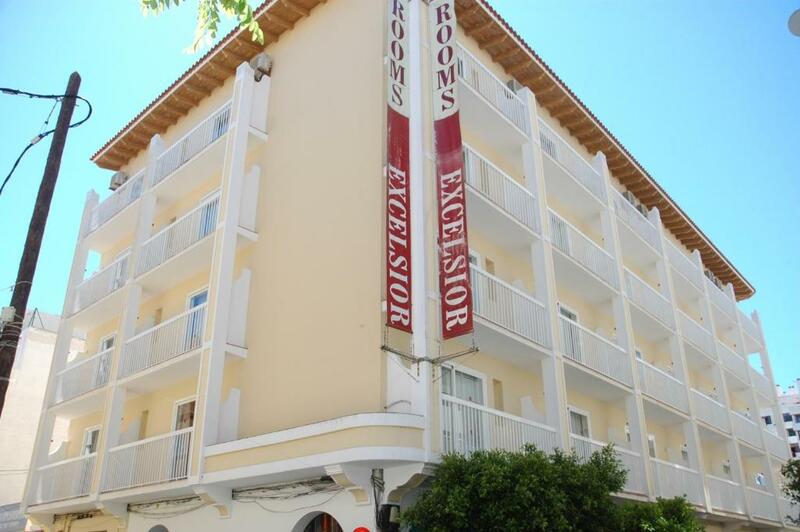 only a 8-10 minute walk from the bus station and located close to the beach and the west end. 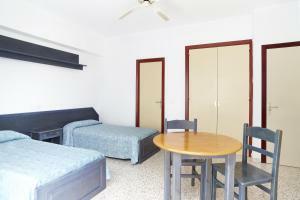 spacious rooms with plenty of places to store and hang clothes. bathroom was basic but didn't need anything else. staff were friendly and courteous. let us keep our bags in the store room while we waited for our room to be cleaned. basic but decent kitchen facilities. beds were comfy. good size fridge. decent size balcony. try the skinny kitchen round the corner!!! its amazing!!! Basic but good location and was able to sleep at night. It has a kitchenette. Useful to prepar breakfast. Also there it’s a fridge. Very close to mambo cafe. This place is close to everything in San Antonio. Right next to all the bars and clubs, a very short walk to the strip and 7min walk to the buses. The rooms are a good size. We enjoyed our stay here and would recommend to young people who want to be close to all the action. One young man whom worked on front desk was lovely. The location was great. Shop in front of the hotel and food places all around. Close to the strip. The beds were comfortable, the shower had good pressure and the maids arranged our room every two days, made our beds and gave us clean towels. Set in the center of San Antonio, 1,650 feet from the beach, these budget studios are the perfect place to quickly access the passenger ferries that take you to the coves nearby. 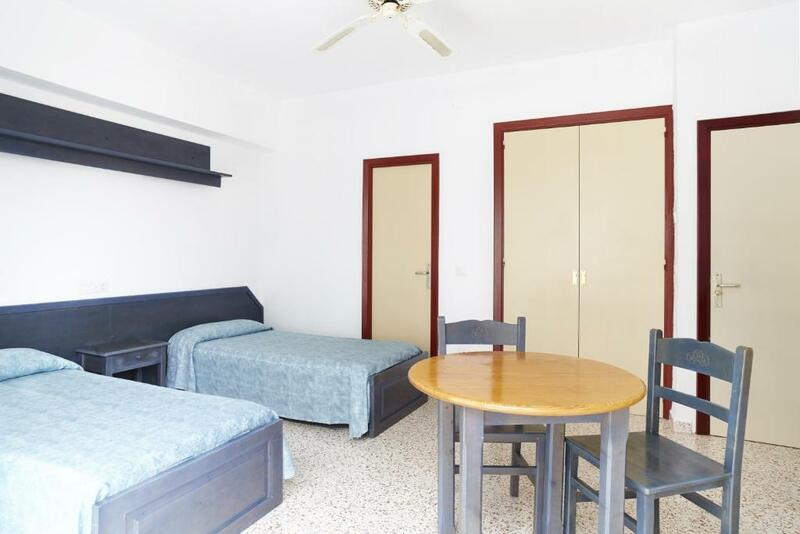 The studios are completely furnished and well-equipped with all the necessary kitchenware, so you can enjoy an independent and relaxing break. 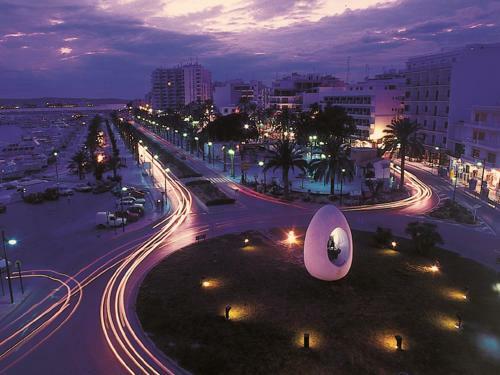 This is the perfect location to discover the island of Ibiza, with its beautiful beaches and renowned nightlife. 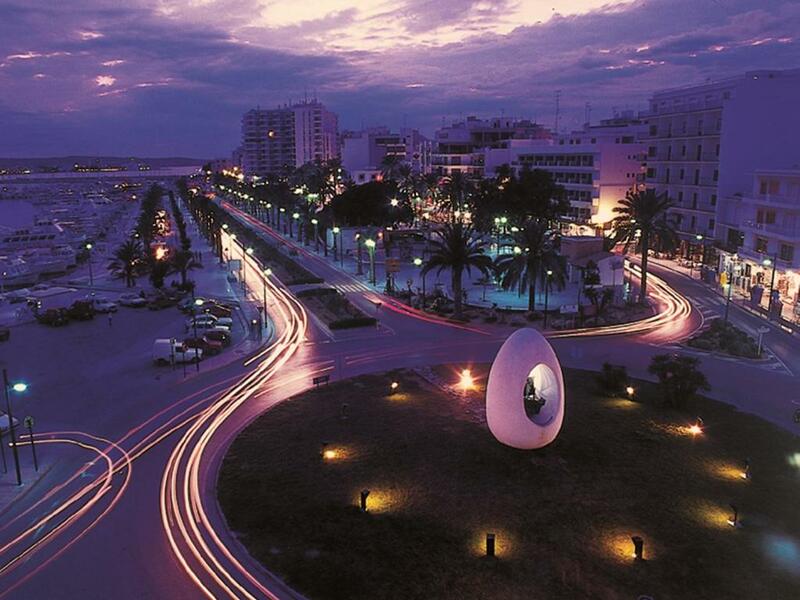 Café Mambo, Savannah and other lively night spots are within a short walk. 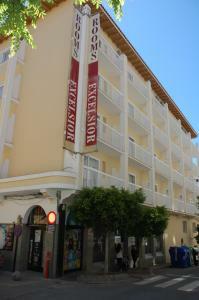 When would you like to stay at Excelsior Estudios & Apartamentos? 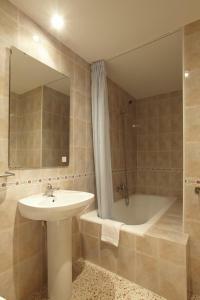 This air-conditioned studio comes with 2 single beds and a private bathroom with bath or shower. The fully equipped kitchen includes a fridge and kitchenware. House Rules Excelsior Estudios & Apartamentos takes special requests – add in the next step! Excelsior Estudios &amp; Apartamentos accepts these cards and reserves the right to temporarily hold an amount prior to arrival. Excelsior Estudios & Apartamentos accepts these cards and reserves the right to temporarily hold an amount prior to arrival. 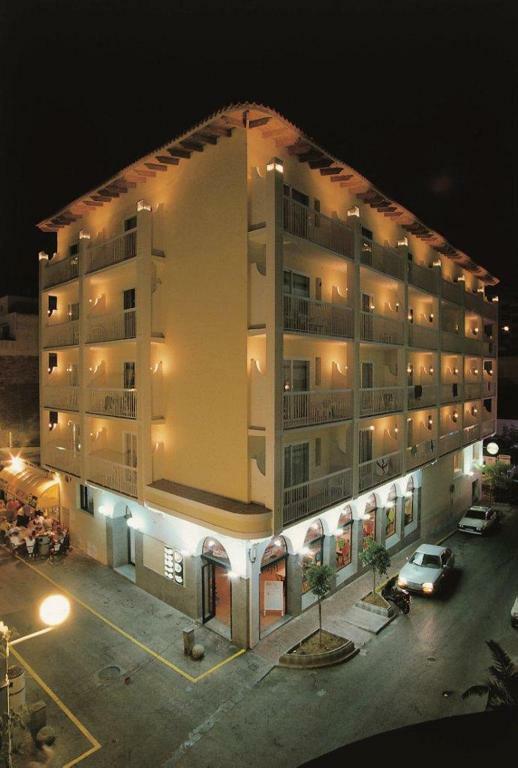 A security deposit of EUR 50 per person is required upon arrival by cash. This deposit is fully refundable upon check-out, subject to an inspection of the property. 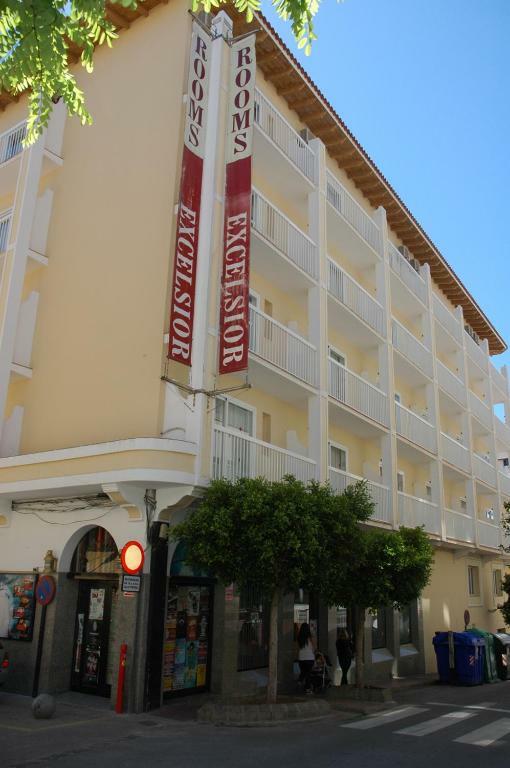 Please inform Excelsior Estudios & Apartamentos of your expected arrival time in advance. You can use the Special Requests box when booking, or contact the property directly using the contact details in your confirmation. The fridge did not work in our room. Everything was perfect. Strongly recommend! The area is in the very city center of nightlife (mainly British nightlife) in S.Antony, so the street under our room was always busy and loud at every our of the night. I really liked the position, very strategic to visit the rest of the island in general and very close to public free parking. The building in general is really old, also if you want to bring a guest even for 10 minutes to your room, they wont allow it, on your checkout day they will go and knock on your door at 8am to wake you up to leave the room asap. Never had this kind of experience before. We didn’t get any room service which we were suppose to get every other day apparently. There was an older man on front desk who shouted at me for asking for toilet roll at such a late hour (9pm) which I think is disgusting as it’s not my fault they can’t clean my room in time for my toilet schedule. The air conditioning in one room was awful, it was like a sauna in there yet was told we couldn’t swap rooms. Wouldn’t go again, can do a lot better with the money. 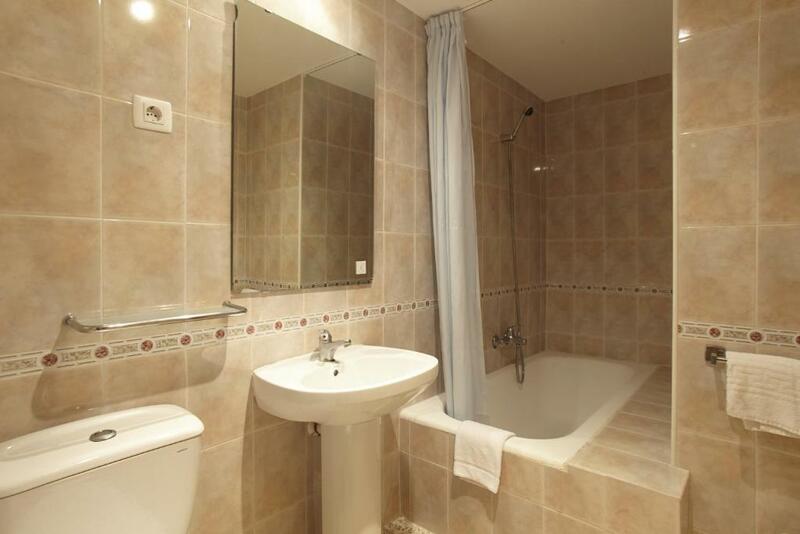 The rooms are kind of ugly but they are clean. The pictures show a balcony but that’s misleading because I think most rooms don’t have one. The location is great because it’s a few steps tot the San Antonio beach and right beside bars and food. Then again it is in San Antonio so you’re still paying a lot for cabs to the Playa d’en Bossa and the clubs on the other side of the island.